December 12, 2013 in News. This updates improves statistics gathered and reported for DCU file sizes, and introduces a small speedup. November 15, 2013 in News. 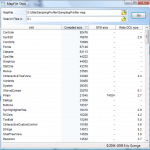 MapFileStats v1.4 is now available, this version provides a lot more details about where the bytes in your executables come from. It also features improved visualization and performance. October 24, 2013 in News. 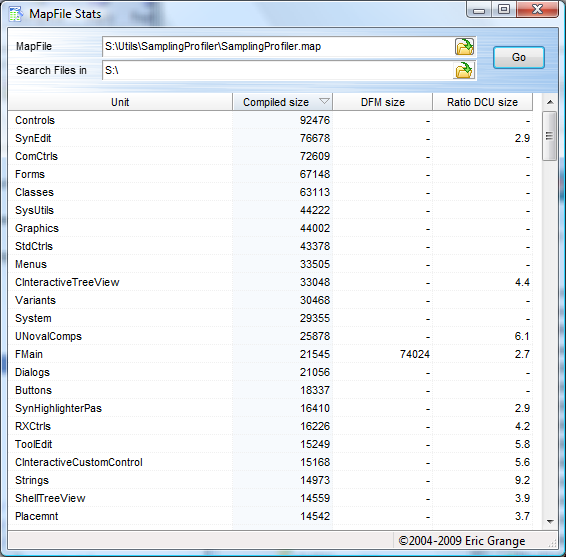 My small MapFileStats utility has been updated to 1.3 (last public release was four years ago…). The utility provides simple statistics about compiled size, to help you figure out what went into your executable. This version add as few minor features and improves detection of project file, which could result in missing DFM size.